What to do with celery leaves and leftover celery. Don’t throw them out! 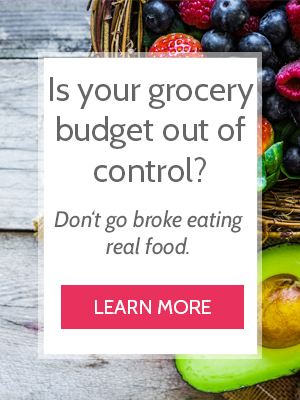 Instead, try these 2 easy hacks that will save you money and grocery trips. You know when you bought all that celery because it was on sale? You know how you had to chop it into sticks and ended up with a giant pile of leaves and skinny yellow-ish pieces? Or maybe you didn’t eat as much celery as you thought you would. Maybe now you have a bunch of sticks that need to be eaten ASAP, and you don’t have enough ranch dip or peanut butter and raisins? Don’t throw them out. Instead, try this easy hack that will save you money and grocery trips. Toss them whole into a freezer bag and freeze it for chicken broth later. Celery makes a great addition to broth or stock. Keep in mind that the really white and yellow parts can be bitter. Simply chop the celery like you would for soup and put them in a gallon-size freezer bag. Every time you chop more, toss them in the same bag. Whenever a soup or casserole recipe calls for celery, use your frozen stash. Now you don’t have to put it on your grocery list, it’s already chopped, and because you were going to throw it away anyway, it’s kind of like FREE. Soup season means a lot of celery is in our future. Use this quick hack to make it last as long as possible and save you money. I’ve never thought to freeze celery! Great tip! Great tip of pre-chopping it before freezing. And thanks for other tips for money saving. This is perfect! I always feel like I never can use all of the celery I buy and never, ever, have thought of freezing it! I know what you mean. This helps a lot! I always buy celery and have leftover stalks that I end up throwing away. Thank you for this helpful tip, I will definately be putting it to use. Awesome! Glad it will help. This is a great idea! I love that you have ideas for the celery leaves too! I like your article, Great tip of pre-chopping it before freezing. Will try this soon. Thanks for the post. I like your article great work. it’s very nice for health thanks for sharing this with us. This is a great idea. I can’t tell you how many times I have had celery spoil on me. It’s way more fragile than one would think. And not cheap since I buy organic because it is on the Dirty Dozen list. Glad to hear! I agree. I try to buy only organic celery, so this helps stretch it even further. I try so hard not to waste and throw away food, and I utilize my freezer ALL the time. But, celery is something that I seem to always end up wasting. Thanks for the tips, I’m definitely going to try this! You’re welcome! I can’t stand wasting food either. You can do the same thing with bell peppers and/or onions—I chop the extras when i am prepping for a recipe and throw them in the freezer for soups or omelets . Yes! Love doing this. Thanks, Carol!